Peter King left the MMQB for a new adventure a few months ago. Some wondered why. Explanations were thrown around. In truth, it may have just been because the people in charge didn’t want to pay the necessary money for good journalism. At least that’s the theory based off a recent Chicago Bears postseason take by Gary Gramling. Everybody knows the outcome at this point. The Bears go 12-4. One of their best seasons in a decade and clinch the #3 seed the NFC. They host the defending champion Philadelphia Eagles in the wild card round, fall behind early but narrow it to 16-15 in the 4th quarter. With seconds remaining, Mitch Trubisky drives the offense into position for a 43-yard field goal that would win the game. There was virtually no wind. It wasn’t all that cold. For a semi-decent kicker, this is a borderline chip shot. Cody Parkey proceeded to bang it off both the left upright and crossbar for his 11th missed kick of the season. What does this have to do with Gramling? He seems to have it figured out as to why the Bears lost the way they did. Fair warning? It’s laughably bad. Gramling stated that the real reason the Bears were ever in that position was because they took too long in settling the contract dispute between the team and 1st round pick Roquan Smith. No, seriously. He actually tried to lay out how that was the case. “Because of the holdout, Smith was ill-prepared for the regular season opener, playing only eight snaps in the loss at Lambeau Field. Considering the margin of defeat and the size of the lead they blew, it seems fair to say that’s a game they probably win if Smith had been in camp on time and therefore a full-go for the opener. It’s his assumption that not having Smith ready for the opener in Green Bay is the main reason the Bears didn’t clinch a first round bye? I wasn’t aware it was Smith’s job to cover those Packers wide receivers that were streaking down the field as Aaron Rodgers hit them for big plays. Or maybe he was supposed to be the guy kicking the field goal in overtime against Miami. A kick that would’ve won the game and given the Bears that extra needed win to clinch the bye. Then he was magically playing quarterback in overtime against the Giants when Chase Daniel fumbled the ball three times on the final drive of the game. Nope. 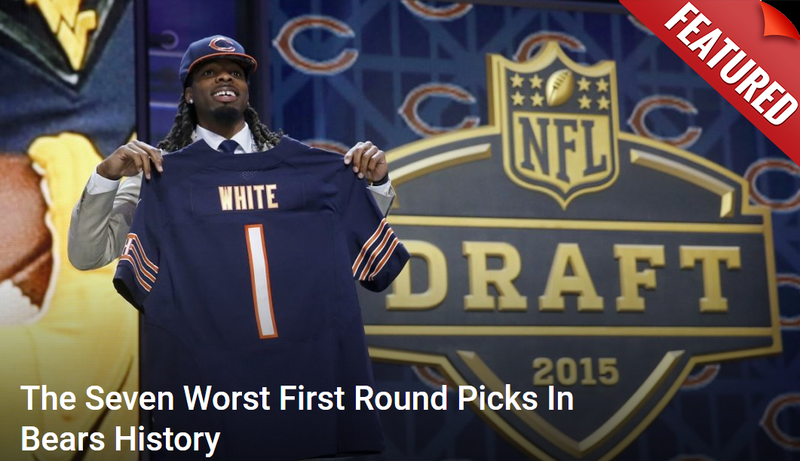 It was all because the Bears didn’t pay a rookie inside linebacker his money in a timely fashion. Genius.